« Will The ‘Next 9/11’ Be ‘Nuclear Terrorism’? Did the USA demand gold to allow terrorists ‘safe passage’? Musical instruments were mentioned in the Book of Genesis. Music is present all over in the 21st century. How does music affect the mind and body? Is it okay to listen to music? Should lyrics matter? Are there biblical principles to consider related to music? Can Christians listen to secular music? Is harp music always good? Is “Contemporary Christian Music” biblically appropriate? Has money overly influenced the “Christian music industry”? What is the Pentecostal ‘latter rain’? What about songs about heaven? 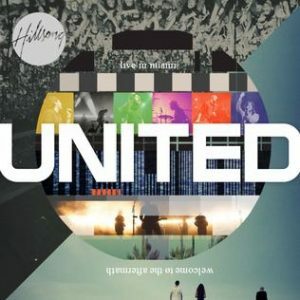 Do groups like Hillsong promote the gospel of the kingdom or a false gospel message? Has there been an ongoing attempt to promote an ecumenical message in what has been called “gospel” or “Christian” music? How can you tell a real Christian from a false one? What type of songs did early Christians sing? Did the old Worldwide Church of God fall because of its 1974 hymnal? Are psalms and songs in “The Bible Hymnal” of the Continuing Church of God consistent with the practices of original Christians? Dr. Thiel addresses these and more! Here is a link to the sermon: Music, Hillsong, and the False Gospel. Music and the False Gospel of Ecumenical Music Has popular ‘Christian’ music been promoting a false ecumenical gospel? Shouldn’t Christian unity be promoted? Here is a link to a related sermon: Music, Hillsong, and the False Gospel. This entry was posted on Saturday, March 2nd, 2019 at 5:35 am	and is filed under Doctrine, Religious News.